The Department of Computer Science and Electrical Engineering (CSEE) at the University of Maryland Baltimore County (UMBC) invites applications for multiple non-tenure track positions at the ranks of Lecturer, Professor of the Practice and Visiting Assistant Professor. The positions begin Spring or Fall 2019 (January or August). Some of these positions will have teaching and/or administrative responsibilities in the computer science program to be offered at The Universities at Shady Grove, in Montgomery County, Maryland. For the position of Lecturer, the preferred qualification is a master’s degree in computer science or a closely related discipline. Applicants for the Professor of the Practice or Visiting Assistant Professor positions should have completed or be about to complete a doctoral degree in computer science or closely related discipline. Ideal candidates will have evidence of strong organizational skills. Experience in academia, industry and government will be considered in the evaluation of the candidate. Candidates who have had a non-academic career with a demonstrated commitment to teaching are encouraged to apply. The Lecturer and Professor of the Practice (PoP) positions are renewable. Lecturers and PoPs teach a wide range of courses, primarily at the undergraduate level. They advise students, mentor teaching assistants, and help shape departmental practices and policies. Lecturers and PoPs are expected to continue their professional growth. Lecturers have the opportunity to be promoted through the ranks of Senior Lecturer and Principal Lecturer. PoPs are expected to provide leadership in the administration of the department. The position of Visiting Assistant Professor is a short-term appointment that is appropriate for new and recent PhDs who would like to bolster their teaching and research profiles before applying to a permanent position. The CSEE department is large and growing, with a diverse community of approximately 2,000 undergraduate majors in computer science and computer engineering. Professors of the Practice, along with Lecturers and a cadre of tenure-track faculty, are the driving force behind the department’s broad effort to ensure a quality education for our undergraduates: working to improve computing education, curriculum, diversity, and student support. CSEE faculty collaborate with the Center for Women in Technology to increase the diversity of those who create technology, with programs designed for women in computing and engineering, transfer students from underrepresented groups, and diverse students interested in cybersecurity. In addition to our undergraduate programs, the department has graduate programs in computer science, computer engineering, electrical engineering, cybersecurity and data science. Our faculty enjoy collaboration within the department, across departments, and with partners outside the university. UMBC is a dynamic public research university integrating teaching, research and service. As an Honors University, the campus offers academically talented students a strong undergraduate liberal arts foundation that prepares them for graduate and professional study, entry into the workforce, and community service and leadership. We are dedicated to cultural and ethnic diversity, social responsibility, and lifelong learning. The 2018 US News and World Report Best Colleges report placed UMBC seventh in the Most Innovative National Universities category and 13th in Best Undergraduate Teaching, National Universities category. 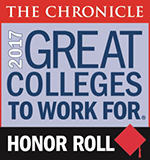 The Chronicle of Higher Education named UMBC as a Great College to Work For, a recognition given to only 86 universities. Our strategic location in the Baltimore-Washington corridor puts us close to many important federal laboratories and agencies and high-tech companies, facilitating interactions, and collaboration. UMBC’s campus is located on 500 acres just off I-95 between Baltimore and Washington DC, and less than 10 minutes from the BWI airport and Amtrak station. The campus includes the bwtech@UMBC research and technology park, which has special programs for startups focused on cybersecurity, clean energy, life sciences, and training. We are surrounded by one of the greatest concentrations of commercial, cultural and scientific activity in the nation. Located at the head of the Chesapeake Bay, Baltimore has all the advantages of modern, urban living, including professional sports, major art galleries, theaters and a symphony orchestra. The city’s famous Inner Harbor area is an exciting center for entertainment and commerce. The nation’s capital, Washington, DC, is a great tourist attraction with its historical monuments and museums. Just ten minutes from downtown Baltimore and 30 minutes from the D.C. Beltway, UMBC offers easy access to the region’s resources by car or public transportation. UMBC is one of nine institutions represented at The Universities at Shady Grove, a consortium of universities within the University System of Maryland, located in Rockville, MD. UMBC is an Equal Opportunity/Affirmative Action Employer and is a recent recipient of a National Science Foundation ADVANCE award to promote hiring and advancement of women in science and engineering. We welcome applications from women, minorities, veterans and individuals with disabilities. UMBC’s Department of Computer Science and Electrical Engineering invites applications for multiple, open rank, tenured/tenure-track positions in Computer Science (CS) and Computer Engineering (CE) to begin in the Fall of 2019. Applicants should have or be completing a Ph.D. in a relevant discipline, have demonstrated the ability to pursue a research program, and have a strong commitment to undergraduate and graduate teaching. We welcome candidates in all areas of specialization. Some areas of interest for CS applicants include but are not limited to: information assurance and cybersecurity; mobile, wearable, and IoT systems; big data with an emphasis on machine learning, data science, brain-inspired methods, and high-performance computing; knowledge and database systems; visualization. Some areas of interest for CE applicants include but are not limited to: hardware focused applicants in Digital, Analog, Mixed-mode VLSI design and test, integrated sensors and processing, SoC, new and emerging design technologies, hardware implementations for neuroscience and health-related wearables, cyber physical systems, hardware security and assurance. The CSEE department is research-oriented and multi-disciplinary, with programs in Computer Science, Computer Engineering, Electrical Engineering, Data Science, and Cybersecurity. Our faculty (33 tenure-track, 10 teaching and 18 research) enjoy collaboration, working across our specializations as well as with colleagues from other STEM, humanities and the arts departments and external partners. We have more than 2000 undergraduate and 560 M.S. and Ph.D. students in our programs. UMBC is a dynamic public research university integrating teaching, research and service. The 2018 US News and World Report Best Colleges report placed UMBC 7th in the Most Innovative National Universities category and 13th in Best Undergraduate Teaching, National Universities. Our strategic location in the Baltimore-Washington corridor is close to many federal laboratories and agencies and high-tech companies, facilitating interactions, collaboration, and opportunities for sabbaticals and visiting appointments. and see http://csee.umbc.edu/jobs for more information. UMBC is an affirmative action/equal opportunity employer. UMBC is pleased to host the first ever IBM-UMBC Day on Friday, April 6th. 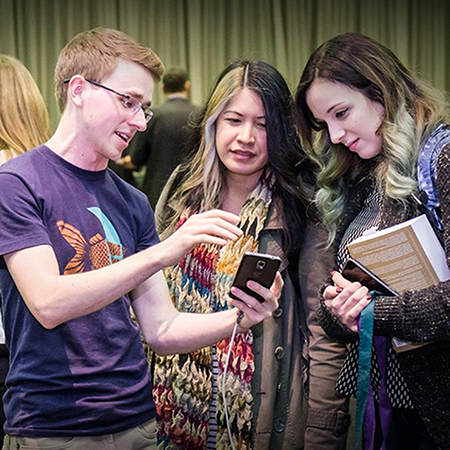 IBM-UMBC Day will create connections and enhance collaboration between UMBC faculty, students, and guests with IBM researchers and thought leaders around topics impacting the future of computing. 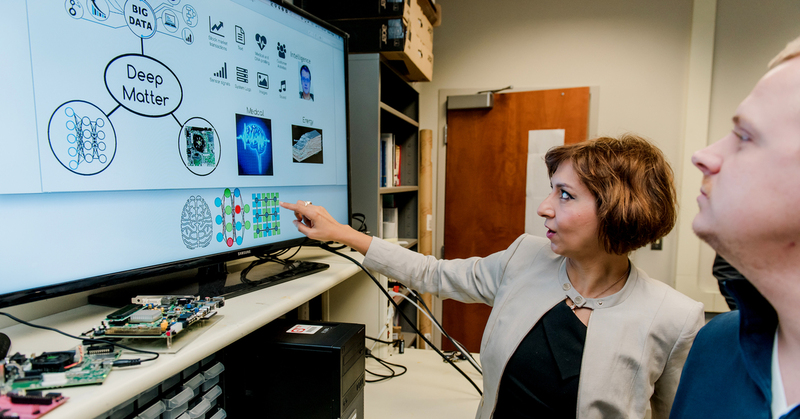 Technical talks by IBM and UMBC researchers will include Artificial Intelligence/Watson, Blockchain, Quantum Computing, Internet of Things, Cybersecurity and more. Lunch will be provided, there will be technical demos from IBM and IBM Recruiters will also be present. Registration no longer required Please register for the event here. ATTENTION STUDENTS: You do not need to attend the entire day. Please RSVP and participate as you are available. The IBM Information table will be open from 10:00am-1:00pm in PAHB 124. Career Coaching appointments can be reserved through the UMBC Career Center. We look forward to seeing you there! *All technical talks will take place in the Concert Hall (PAHB 235). *The final program will be available at the event. Join representatives from the Chan Zuckerberg Initiative to learn about career and intern opportunities and listen to a technical talk by Jeremy Freeman, James Wang and Elizabeth Caley. Open to undergraduate and graduate students from all majors with a focus or interest in STEM (Science, Technology, Engineering, & Math). The Chan Zuckerberg Initiative, founded by Mark Zuckerberg and Priscilla Chan in December 2015, is dedicated to advancing human potential and promoting equal opportunity. We believe technology can help accelerate discovery and scale solutions to facilitate social change. We support science and technology that will help make it possible to cure, prevent, or manage all diseases by the end of the century. We’re hiring data scientists, software engineers, biologists, designers and more. See https://chanzuckerberg.com/careers for all the current positions. Internships will be posted shortly. Students, faculty, staff and community members are invited to join CWIT and STEMRules for a lunch event to hear from and network with diverse professionals from across the cybersecurity industry. 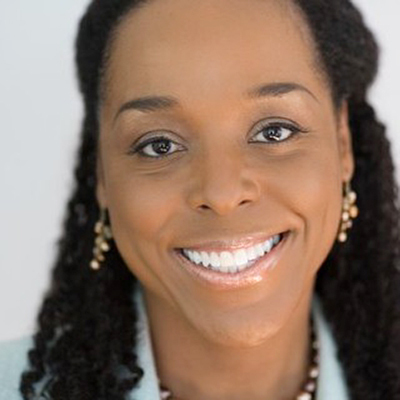 Veda Woods is an executive at an undisclosed Fortune 500 financial institution, a member of multiple boards and the executive director of the International Consortium of Minority Cybersecurity Professionals. 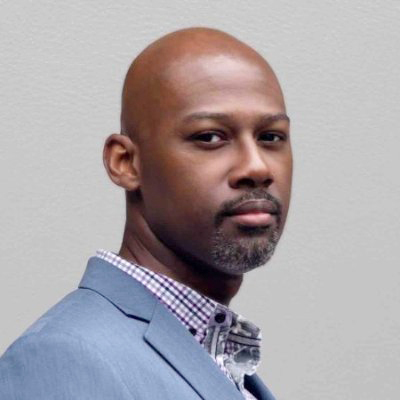 William McBorrough is a second-generation engineer is the founder and Managing Director of Washington, DC-based McGlobalTech and an information security and risk management consultant. 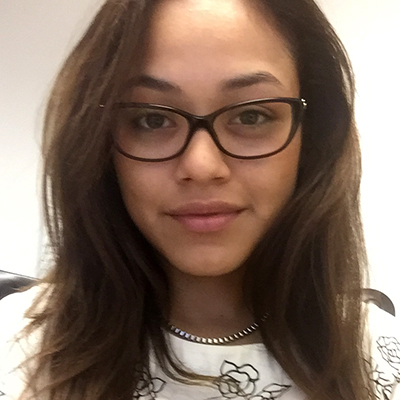 Pamela E. Carbajal is a Cyber Security Compliance and Policy Analyst, Senior Consultant, at Booz Allen Hamilton, a global management and technology consulting and engineering services firm. 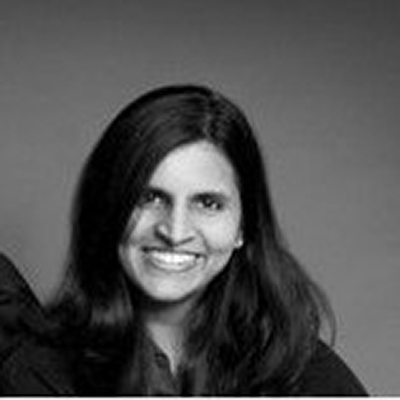 Mahalakshmi “Maha” Venkataraman is a Senior Manager in the Software Engineering unit, and the technology lead for the anti-money laundering investigation team at Capital One, a major bank holding company. Lisa Jiggetts is the founder of the Women’s Society of Cyberjutsu, a nonprofit dedicated to empowering women to succeed in the cybersecurity field. 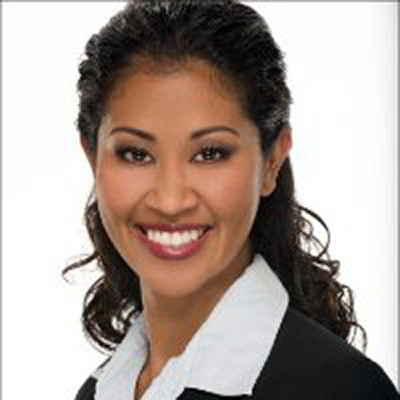 She is a also a freelance mobile security consultant. They will also talk about the application process and what to expect. Don’t miss this final window to apply — all internship programs close later this month! U.S. citizenship is required for NSA employment NSA is an Equal Opportunity Employer. Register now for the Student Programs Webinar, 5-6pm Thursday, 13 Oct. 2016. Seats are limited, so don’t put it off! Interested in learning more about Google? Come hear it from Googlers and UMBC alumni! 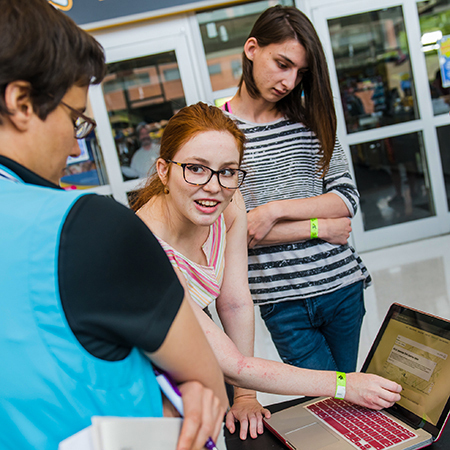 On Thursday Sept. 29 and Friday Sept. 30, Google host hour tech/culture/info talk events on campus for UMBC students to learn more about Google and the internship and career opportunities it offers to students. They will have food, swags and many internship and full time opportunities for students. Check out the details below and register for the event(s) HERE, if you’re interested in Google opportunites make sure to include a soft copy of your resume. Who: Except the first event on Thursday 09/29, at 1pm that is designed for PhD engineering students, all Computer Science and Engineering students regardless of degrees they are pursuing, and anyone else with an interest in software development are welcome! Why: Learn more about Google’s hiring process, culture, technology, job and/ internship opportunities, and more! – directly from a Googler! What to do next? : Register for the event HERE! Make sure your resume and LinkedIn profiles are up to date (feel free to link both in the form above) and of course come with lots of good questions! UMBC’s Department of Computer Science and Electrical Engineering invites applications for three tenure-track Assistant Professor positions to begin in Fall 2016. Exceptionally strong candidates for higher ranks may be considered. Applicants must have or be completing a Ph.D. in a relevant discipline, have demonstrated the ability to pursue a research program, and have a strong commitment to undergraduate and graduate teaching. Candidates will be expected to build and lead a team of student researchers, obtain external research support and teach both graduate and undergraduate courses. All areas of specialization will be considered, but we are especially interested in candidates in the following areas: information assurance and cybersecurity; mobile, wearable and IoT systems; big data with an emphasis on machine learning, analytics, and high-performance computing; knowledge and database systems; hardware systems and experimental methods in circuits, devices, VLSI, FPGA, and sensors; cyber-physical systems; low-power systems; biomedical and healthcare systems; and methods and tools for hardware-software co-design. The CSEE department is energetic, research-oriented and multi-disciplinary with programs in Computer Science, Computer Engineering, Electrical Engineering and Cybersecurity. Our faculty (34 tenure-track, six teaching and 15 research) enjoy collaboration, working across our specializations as well as with colleagues from other STEM, humanities and the arts departments and external partners. We have 1500 undergraduate CS and CE majors and 400 M.S. and Ph.D. students in our CS, CE, EE and Cybersecurity graduate programs. We have awarded 276 PhDs since our establishment in 1986. Our research supported by a growing and diverse portfolio from government and industrial sponsors with over $5M in yearly research expenditures. We work to help new colleagues be successful by providing startup packages, reduced teaching loads and active mentoring. UMBC is a dynamic public research university integrating teaching, research and service. As an Honors University, the campus offers academically talented students a strong undergraduate liberal arts foundation that prepares them for graduate and professional study, entry into the workforce, and community service and leadership. UMBC emphasizes science, engineering, information technology, human services and public policy at the graduate level. We are dedicated to cultural and ethnic diversity, social responsibility and lifelong learning. The 2015 US News and World Report Best Colleges report placed UMBC fourth in the Most Innovative National Universities category and sixth in Best Undergraduate Teaching, National Universities. 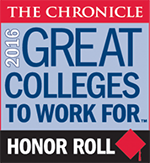 The Chronicle of Higher Education named UMBC as a Great College to Work For, a recognition given to only 86 universities. Our strategic location in the Baltimore-Washington corridor puts us close to many important federal laboratories and agencies and high-tech companies, facilitating interactions, collaboration, and opportunities for sabbaticals and visiting appointments. UMBC’s campus is located on 500 acres just off I-95 between Baltimore and Washington DC, and less than 10 minutes from the BWI airport and Amtrak station. The campus includes the bwtech@UMBC research and technology park, which has special programs for startups focused on cybersecurity, clean energy, life sciences and training. We are surrounded by one of the greatest concentrations of commercial, cultural and scientific activity in the nation. Located at the head of the Chesapeake Bay, Baltimore has all the advantages of modern, urban living, including professional sports, major art galleries, theaters and a symphony orchestra. The city’s famous Inner Harbor area is an exciting center for entertainment and commerce. The nation’s capital, Washington, DC, is a great tourist attraction with its historical monuments and museums. Just ten minutes from downtown Baltimore and 30 from the D.C. Beltway, UMBC offers easy access to the region’s resources by car or public transportation. and see the CSEE jobs page for more information.